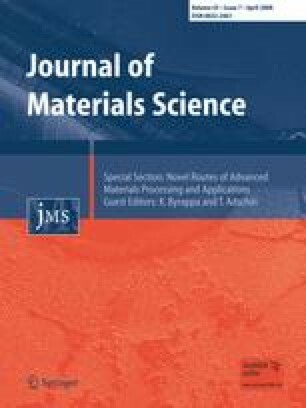 It was demonstrated that brookite-type titanium oxide can be directly synthesized by the hydrothermal treatment of novel water-soluble titanium complexes under basic conditions in the presence of an additive. In particular, single-phase brookite was synthesized from the titanium–glycolate complex at a pH of about 10 in the presence of excess NH3 aqueous solution or ethylenediamine, and powder thus obtained consisted of rod-like nanosized particles. It was suggested that the structures of titanium complexes are important for the formation of brookite. We are grateful for support by a CREST/JST grant. Part of this work was also supported by a Grant in Aid for Science Research, No. 18206069 from the Ministry of Education, Science and Culture, Japan.